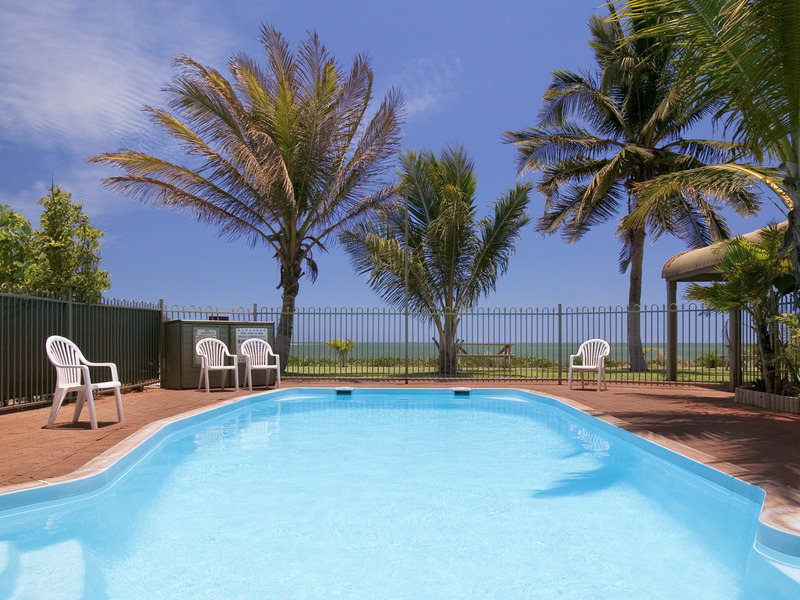 Located 2km from the town centre and 15km from the South Hedland main business precinct, ibis Styles Port Hedland features 65 rooms, two bars and a bottle shop, plus a bistro offering spectacular ocean views and al fresco dining. The main centre in the Pilbara region, Port Hedland is the major port of the Australian north west, home to great fishing and some of the largest iron ore carriers in the world. The hotel room rate includes free continental breakfast and 15 minutes free Internet access. A two hour flight from Perth or a one hour flight from Broome, Port Hedland is the gateway to the Pilbara region, one of Australia's largest ports and a major processor and exporter of iron ore. Just minutes from Port Hedland town centre and within easy r each of the South Hedland main business precinct, ibis Styles Port Hedland is the ideal option for visitors travelling to the area on business. Leisure visitors are equally well catered for, as the hotel is close to a range of restaurants, pubs and shops. Guests staying at ibis Styles Port Hedland can explore the many attractions of the town and its surrounds. Highlights include town, history and mine tours, Flatback turtle nesting from October to March, and Staircase to the Moon between March and October. Offering a range of convenient facilities to visitors to the Pilbara region, ibis Styles Port Hedland features an outdoor swimming pool, business services, versatile event space for up to 100 guests, in-room WIFI access and reduced mobility guest rooms. Tastefully appointed and contemporary in design, guest rooms at ibis Styles Port Hedland provide a peaceful retreat that is functional yet comfortable. Perfectly suited for both business and leisure travellers, guest rooms at this modern Port Hedland hote l offer accommodation options for up to two or three guests. Each guest room features a range of convenient amenities, including the new ibis SweetBed, an ensuite, air-conditioning, WIFI access, and a TV with Foxtel and two free in-room movie channels. Standard Room 1 Queen Bed. Wind down after a busy day in the sports bar offering sky channel, fox sport, juke box, pool tables & betting facilities. My experience with Ibis Hotels is not great, but the one in Port Hedland is REALLY not great. For the location the room was adequate, food good and staff lovely. The room was adequate, the shower wasn't pretty but the water pressure was great. The staff were nice, very accommodating and the food was really good. Room had nnot been serviced when I booked in so went into a messy room. the cleaning staff were very quick to come by and clean the room. they wer very apologetic and throughly clean the room. Reception staff were polite and assisted. Dosapointed that the phone did not work in the room. Again this has been a reaccuring issue. Good and clean facilities, very nice staff. Happy to stay again. Unwelcoming staff, bored restuarant staff, and very noisy room. When the next room had a shower the noise was so loud in my room. Location is perfect and the staff really look after me. My allocated room was in a good location with beautiful views over the ocean. The layout of the room and the facilities ie fridge, television, table and chairs etc. were helpful and nice. However, the condition of the linen and towels was not satisfactory. They were evidently old, (grey) with some old staining and although they had been cleaned they were in dire need of replacing. Some of the paintwork (skirtings) were dirty and in need of painting. I did not feel relaxed when sleeping in my bed or working in my room. Pretty poor, I was locked out of my room on the night of 2nd of April room 26 and sat outside while someone tried to get in for about 40 minutes at about 11pm getting eaten from mosquitoes. The guy who helped me was nice but didn’t really try and accomodate to make my stay a bit more comfortable. He tried to break in without many tools not even a light to see and I had to shine my phone light for him to see. Overall I didn’t end up getting back into another room until about 9am the next day. I had no clothing or any of my work tools as they were in the room and I had driven from Karratha to complete work. Will not recommend. For the cost this stay represented poor value. The front door of my room would not lock, the bathroom was in a moderately bad state of repair and decoration. The walls were thin and neighbouring room occupants’ TVs and other noises were audible. Breakfast is not only at extra cost (unlike your main nearest competitor) but very basic in selection and quality. Further, barely two minutes after the official end of breakfast the cleaning staff commenced mopping very close to my table, using bleach. I took the hint. The cost of the room was higher than your main competitor yet the standard of everything was considerably lower. To be expected but standards have definitely gone down since my last visit. The towels are the worst I’ve seen in a hotel in a long time. Admittedly it was during a cyclone alert however, I experienced power and light outages in two separtate rooms. This was a site issue, not mains supply! Some water damage evident also. Paving bricks around rooms require some repairs. Some loose and raised (potential trip hazard). Staff were friendly and helpful. Food was OK at breakfast and pub, understanding that supplies were limited due to the storm. Little things need to be improved eg, remote controls in both rooms not working, no spoons o cups at breakfast or dinner without asking for them. Dirty plates at breakfast service. Ants in the rooms. I know it's a remote location, but for the price, just could do with refreshing the rooms, carpets etc. There for work and have stayed previously. I believe good comfortable rooms and facilities. I have stayed at the ESS Camp and Esplanade and prefer this. Don’t worry about trip advisor comments .